Home > Legalities > What If a Buyer or Seller Goes Bankrupt Before Completion? 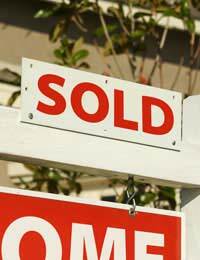 There is very little certainty about a house sale until completion takes place. Whilst exchange of contracts is a very definite step towards a guaranteed sale, things can – and do – still go wrong. Property owners decide to sell for a number of reasons – they may want to move up or down the property ladder, or they may no longer be able to afford their home. When people are in difficulty with mortgage payments it is quite common that they will also have other debts. If this is the case one of their creditors could petition for their bankruptcy. The article below looks at the relationship between property sales and bankruptcy. If a property owner is made bankrupt all of his assets come under the control of the Official Receiver as soon as the bankruptcy order is made. In most cases a trustee in bankruptcy will then be appointed to take over control of the bankrupt’s affairs or estate. Any property owned by the bankrupt – or any interest he has in property – will automatically be transferred to the trustee. The trustee has a duty to organise the bankrupt’s affairs in a way which maximises the likelihood of the bankrupt’s creditors being repaid. This often includes forcing a sale of the bankrupt’s property so that the sale proceeds can be put towards the debts and costs of the bankruptcy. What Happens if the Seller Goes Bankrupt Prior to Completion? As soon as bankruptcy proceedings are started against the registered owner of land a notice will be placed at the Land Registry against the entries for that property. Therefore, if bankruptcy proceedings are started the buyer should have notice of a pending bankruptcy. Any sale of the property after the issue of bankruptcy proceedings would be invalid – unless a court gives its consent for the sale to go through. If contracts have already been exchanged the sale should be put on hold until the bankruptcy proceedings have concluded. If a bankruptcy order is made, and a trustee in bankruptcy appointed, the trustee may take over the sale in place of the bankrupt. If the trustee refuses to continue with the sale, and the would-be buyer suffers financial loss as a result, he should make a claim for the loss as a creditor in the bankruptcy. This may be of particular relevance if the buyer has already paid a deposit. Where the property is jointly owned by a person who is bankrupt and another person who is not bankrupt the trustee in bankruptcy may join with that co-owner to complete the sale. Was the Buyer Acting in Good Faith? If a buyer purchased a property in good faith with no knowledge of a pending bankruptcy, because the appropriate bankruptcy notice had not been placed on the Land Register, the sale may still be valid. Property owners who fear that they may be facing bankruptcy may be tempted to protect their assets by transferring them to someone else. For example, a family home is registered in the husband’s name. He is worried that his business may collapse and that his creditors may start bankruptcy proceedings. The husband decides to transfer the property into his brother’s name to protect it from the creditors. The brother either pays nothing or pays substantially less than the value of the property. The husband is subsequently made bankrupt. If a court decides that the purpose of the transfer was to put the property beyond the reach of potential creditors the transfer could be set aside. Transactions of this kind may be set aside even in cases where a bankruptcy order is made years after the transfer took place. What Happens if the Buyer Goes Bankrupt Before Completion? If a buyer goes bankrupt prior to completion the trustee in bankruptcy will decide whether or not to continue with the sale. In practice the trustee may not be able to continue with the sale as any mortgage offer is likely to be withdrawn when a bankruptcy order is made. If the trustee does not continue with the sale the seller could sue the bankrupt’s estate for any financial loss incurred due to the sale falling through. An additional concern for a trustee, if the sale is not completed, would be the loss of any deposit paid by the bankrupt person. If it can be shown that a seller accepted payment – whether a deposit or the full purchase price – from a buyer, knowing that the buyer faced bankruptcy, the seller could be forced to repay those sums to the trustee in bankruptcy.